The Slayer Series brings QFT engineering innovations to cost-conscious and performance-oriented enthusiasts. The series is filled with QFT time and race-tested features. 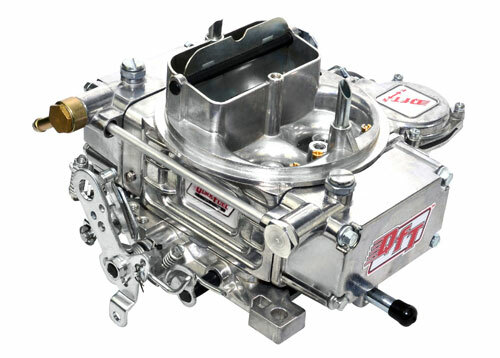 QFT's New 600CFM carburetor was designed as a street performance carb that is also suitable for stock engines. It flows 600 cfm through 1-9/16-inch throttle bores and 1.312-inch venturis. They have a secondary metering plate with changeable jets and a 3-stage emulsion circuit. On the BD version, the Black Diamond coating reduces fuel temperatures by up to 6%, and is extremely scratch and corrosion resistant. This proprietary coating keeps your carb looking factory fresh for years, even under harsh environmental conditions. A billet aluminium primary metering block and throttle body provides added strength, precise metering, and zero porosity. 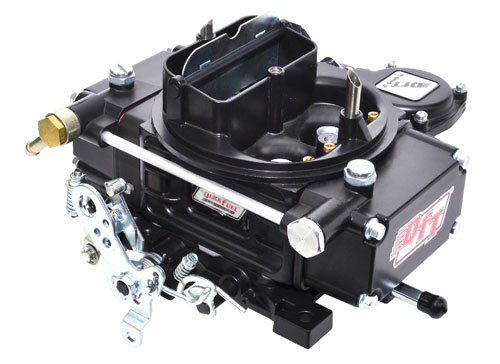 Quick Fuel makes carb tuning and setup very simple with its QuickSet vacuum secondary housing that allows you to adjust the secondary opening rate with a simple screw adjustment, instead of removing the housing cover and swapping springs. As with all Quick Fuel carbs, interchangeable bleeds allow you to fine tune both the idle and high speed circuits. QFT's fully adjustable choke requires a simple one-wire hookup and you are ready to go. All BD-1957 and SL-1957E carbs come with Ford A/T kickdown linkage included.